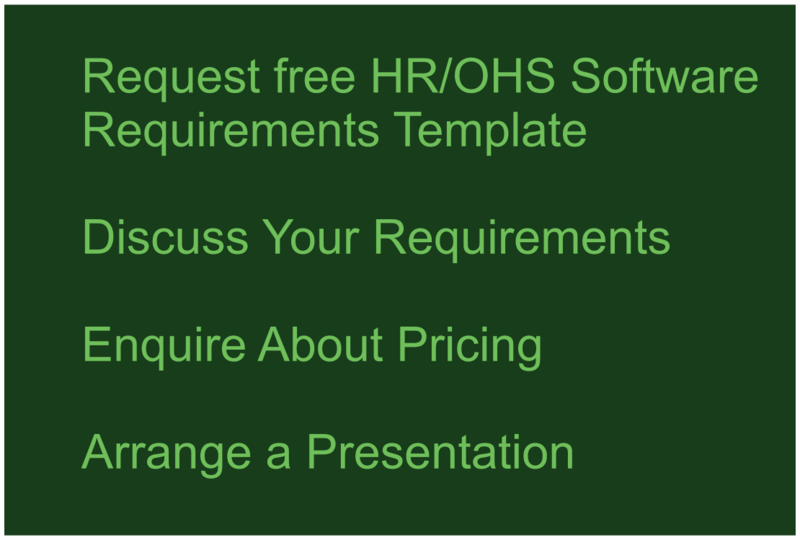 Regardless of the HRIS or WHS software solution you ultimately end up choosing it has to be implemented. Essentially, implementation entails configuration and preparation of your data base to accommodate and populate the data you need to manage. This further entails an understanding of your processes and the outcomes you want to achieve. A list of the requirements, functions and outcomes sought from the system. A list of the source documents from which data will be extracted into the data base so that the requirements and outcomes can be achieved. You will also need a nominated person to act as administrator of the project and work closely with the software provider’s implementation manager. A further element is to think about who within the organisation will be using the system and to which functions they need access. The first element (the requirements list) has a twofold purpose; a) it serves as your selection criteria for assessing which systems can achieve your outcomes, and b) it serves as a guide to how the system should be configured and set up so that the described functions & outcomes are achieved. In other words, the database should be configured to match your outcomes not the other way around, and of course it is important that you are able to assess the functionality comprehensively before you make a purchasing decision. With this in mind we are able to demonstrate our product to you based around the requirements you have specified. Favour Solutions’ implementation plan works by firstly understanding your list of required functions and outcomes, and then configuring the database to suit. We also help you specify all the data source documents you will need. A number of additional data imports are possible provided an acceptable excel file is available.